Sri Lanka 4-139 (Mahela Jayawardene 42, Tillakaratne Dilshan 35, Mohammad Hafeez 1-12) beat Pakistan 7-123 (Mohammad Hafeez 42, Umar Akmal 29*, Rangana Herath 3-25) by 16 runs. An excellent team performance led by Mahela Jayawardene and Rangana Herath guided Sri Lanka to a comprehensive win over Pakistan in the important semi final. Sri Lanka scored 139 runs for the loss of four wickets at the end of the stipulated 20 overs. The inconsistent batting performance of Pakistan led them to disaster and they ended up scoring 123 runs with three wickets in hand. Mahela Jayawardene (Sri Lanka) was declared ‘Player of the match’ for his brave batting while opening the innings. The first semi final of the ICC World Twenty20 was played on Thursday, October 4, 2012, at R Premadasa Stadium, Colombo. Mahela Jayawardene, the captain of Sri Lanka, won the toss, did not hesitate to come out and bat with Tillakaratne Dilshan. The home team started off slowly but most importantly they did not lose any wicket and reached 20 at the end of the fourth over. 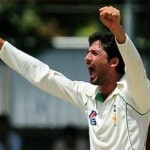 Dilshan was dropped at eight by the wicketkeeper Kamran Akmal off Sohail Tanvir on the last ball of the next over. Jayawardene decided to have a go at the rival bowling and scored a couple of fours in the sixth over. He was the most impressive of the two as Dilshan kept on securing his end and the first fifty was attained in the 9th over. Shahid Afridi brought the first breakthrough after the score board displayed 63 runs in 10.2 overs as Mahela Jawardene was caught by Raza Hasan for 42 off 36 balls with 7 fours. The new batsman, Kumar Sangakkara, preferred to attack as soon as he arrived in the centre and hit a four on the first ball he faced. He gathered another 11 runs in the 12th over with two fours and carried on with his aggression. Mohammad Hafeez, the skipper of Pakistan, brought him in the attack and got rid of Sangakkara on the fifth ball after he had scored 18 runs. Jeevan Mendis joined in next with Dilshan and tried to pick up the run rate and the hundred of the innings was scored in the 15th over. The Green Shirts bowlers came back in the game and the batsmen found it hard to score the runs freely. Tillakaratne Dilshan played an unusual innings and became the third victim as he was declared leg before wicket off Umar Gul for 35 off 43 with just 3 fours. The fourth wicket was gone at 117 in 17.5 overs and Mendis went back to the pavilion after the addition of just one run at his individual feat of 15. Umar Gul gave away 16 runs in the final overs as the Lankan Lions scored 139 runs with six wickets in hand. Saeed Ajmal, Shahid Afridi, Mohammad Hafeez and Umar Gul were the wicket takers with one each. Pakistan went in to bat with their regular openers Mohammad Hafeez and Imran Nazir as the first over produced eight runs. They added 18 runs in the next four overs and were unable to score runs at will on the slow deliveries of the Islander fast bowlers. Ajantha Mendis was brought in the attack by Jayawardene and he provided his team with an important breakthrough when Imran Nazir was clean bowled for 20 off 21 balls with 3 fours at the total of 31 runs. The Men in Green lost two quick wickets as Angelo Matthews struck twice in the 10th over by removing Nasir Jamshed and Kamran Akmal. The visitors were reeling at 3-57 in 9.4 overs as Shoaib Malik got together with Mohammad Hafeez. The first was stunned by Rangana Herath as his stumps were uprooted on the last ball of the next over for six runs. Mohammad Hafeez was dropped at 24 at long-on by Lasith Malinga off Angelo Mathews and the batsman utilised the chance by adding 11 runs in the 13th over with 1 six and 1 four. Rangana Herath put the Green Shirts on the back foot when Mohammad Hafeez was stumped smartly by Sangakkara for 42 off 40 balls with 1 six and 2 fours. The fifth wicket was lost at 91 in 14.1 overs and the stumps of Shahid Afridi were uprooted on the very next ball. Pakistan required 40 runs to win the match in the last 24 deliveries with four wickets in hand. The target became more difficult as they needed 27 off the last 12 balls with Sohail Tanvir also gone back. Umar Akmal remained unbeaten on 29 off 22 balls with 3 fours as Pakistan managed 123 runs for the loss of 7 wickets in 20 overs. 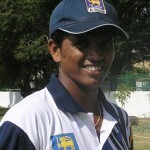 Rangana Herath was the star performer with the ball and grabbed three wickets at an important juncture of the game. Angelo Mathews and Ajantha Mendis bowled equally well and held two wickets each. Sri Lanka won the semi final convincingly by 16 runs and will play the Final on October 7, 2012, at the same venue. It is the second time that the Lankan Lions reach the final of the ICC World Twenty20 and they have an excellent chance to win the coveted trophy for the first time.